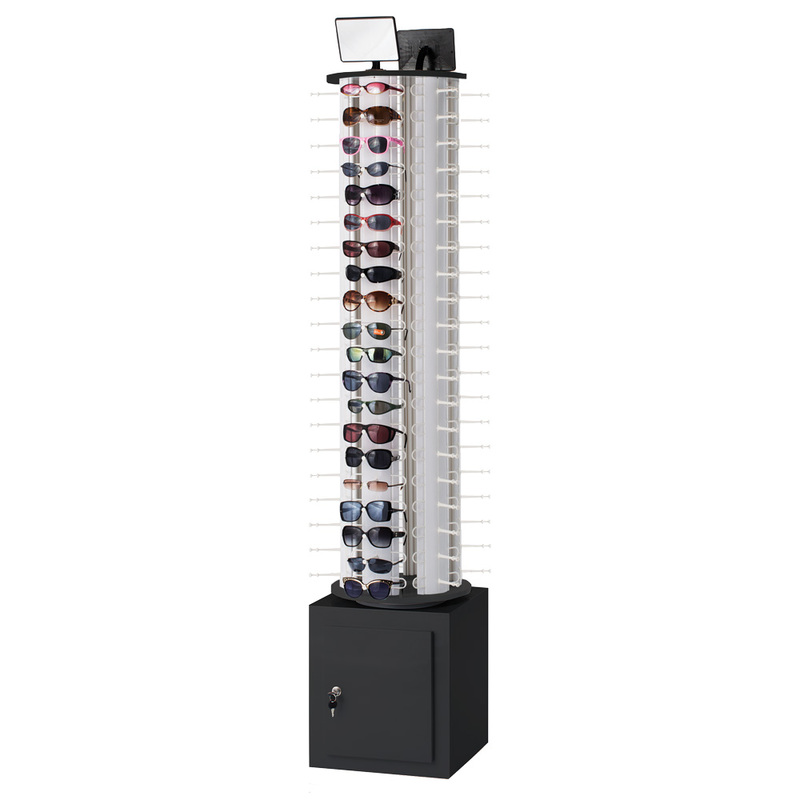 Great display for eyewear such as sunglasses, optical frames, reading glasses and more. This eyewear spinner holds up to 120 pairs with revolving design for a 360 degree view. Includes two attached 4 3/4 in. W x 6 1/2 in. H mirrors on top. Extra storage spacing with a 15 1/4 in. W x 15 1/4 in. D x 17 1/4 in.H locking cabinet in the base for additional storage sunglasses or eyewear. Added casters for mobility. Display only, eyewear shown not included with purchase.